Objections Raised After Controversial HIV Researcher With Ties To Abstinence Group Tapped To Head CDC - Joe.My.God. A leading AIDS researcher and proponent of medication-assisted therapy for addiction was appointed Wednesday to oversee the Centers for Disease Control and Prevention. Alex M. Azar II, secretary of the Health and Human Services Department, announced that the agency’s new director would be Dr. Robert R. Redfield, a professor at the University of Maryland School of Medicine in Baltimore and co-founder of the Institute for Human Virology. Dr. Redfield, 66, will replace Dr. Brenda Fitzgerald, who resigned in January after just six months on the job. Dr. Fitzgerald left amid criticism of her investments with her husband in tobacco and health care companies that posed potential conflicts of interest. The policies he supported decades ago have raised deep concern among some AIDS advocates because they were not considered sound public health approaches to the epidemic. The critics believe they also stigmatized those who were infected and feared being fired — and losing their health insurance. In the early 1990s, while at the Walter Reed Army Institute of Research, Redfield was accused of misrepresenting data about the effectiveness of an experimental AIDS vaccine that he was supporting. The vaccine ultimately failed. An investigation cleared Redfield of scientific misconduct charges. During the same period in the 1990s, Army investigators also criticized Redfield’s close relationship with a conservative AIDS organization that strongly supported the vaccine and had received scientific information about it “to a degree that is inappropriate,” according to a 1993 Science article based on an extensive Army report. Investigators recommended that ties between Army researchers and the group “be severed so there is not an appearance of endorsement or favoritism,” Science reported. The organization, Americans for a Sound AIDS/HIV Policy, was founded by Shepherd and Anita Smith, a politically connected Virginia couple who supported abstinence-based AIDS prevention. Redfield, who early on was chairman of the organization’s advisory board, continues to serve on its board. This appointment would be disastrous for at least three reasons. First, he has no experience running a public health agency, and does not have the all-important relationships with state and local public health officials such experience would bring. Second, based on work I conducted with Sidney Wolfe at Public Citizen in the mid-1990s, he has been credibly accused of scientific misconduct for exaggerating the benefits of a putative HIV vaccine, for which he was investigated by the military. Third, he has supported a variety of policies related to HIV/AIDS that are anathema to the great majority of public health professionals: mandatory HIV testing, reporting of positive HIV results to public health authorities without the patient’s consent, and quarantining of HIV-positive individuals in the military. I realize decades have passed, but when Col Robert Redfield set up 1980s military #HIV prog it was punitive — ID gay men, find their lovers, drum them out of military. 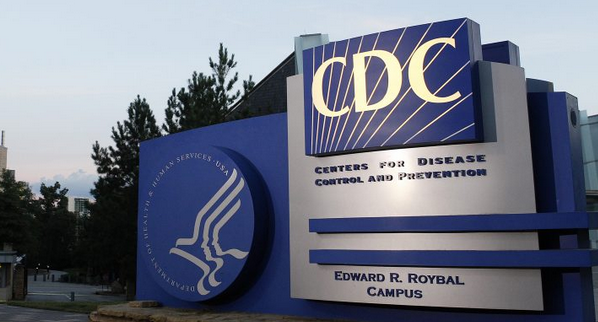 Have his instincts changed enough to make him leader @CDC? And how is he ready to manage 1000s ppl?